i had question that i thought you might know the answer to. 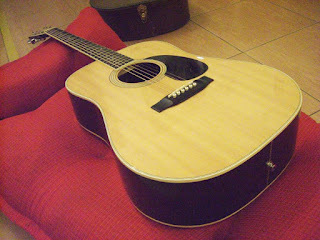 i recently purchased the martin thinline goldplus pickup system for my parlor acoustic guitar. 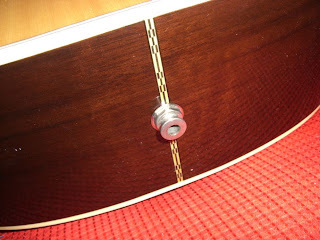 i was prepping the guitar for installation when i noticed that my saddle slot is shorter than the martin pickup. do you know how i would remedy this situation? can i just clip a piece off of the pickup for it to fit in the saddle slot? would that affect any of the mechanics of the system? any information would be of great help. my e-mail address is andywakeup@gmail.com or you can leave your answer here... i'll check back often. thanks. 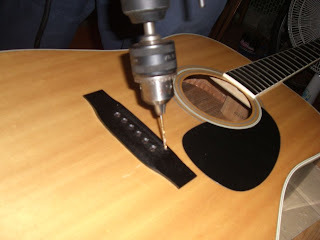 Hey Andy, I don't personally know the answer, but Fishman (who make the Martin Thinline range) appear to advise against cutting the pickup to length (http://www.fishman.com/support/techtips.asp?id=11). 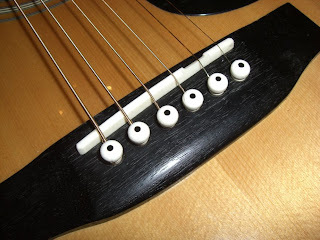 The answer may be to lengthen the saddle slot on your guitar, even though some length of the pickup may end up not being used. "Available in two saddle slot widths: wide 1/8" (3.2mm) format or narrow 3/32" (2.3mm) format"
That Sigma has been returned to its owner, but I measured my own Sigma DM-4 (I'm a big fan of those Sigma guitars) and it fits the narrow 3/32" (2.3mm) pickup. I'd guess yours is more than likely the same, but you should probably measure the width of your saddle just in case. 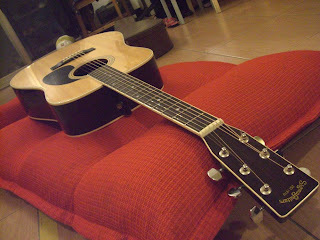 i just bought one from crafter guitar and I'm quite confident about its quality. I just placed a pickup in a OOO copy. The high & low E are weak in output. Is the matrix infinity magnet to short for the OOO saddle? Hi Shawn. 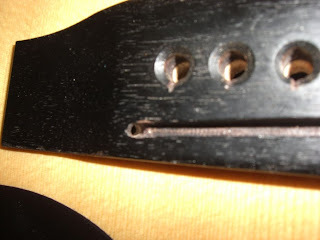 Without knowing how far apart your strings are, and how long the pickup is compared to this, I can't really tell you, but something you might want to look into is if there is a slight up-curve at the ends of the bottom of the saddle. 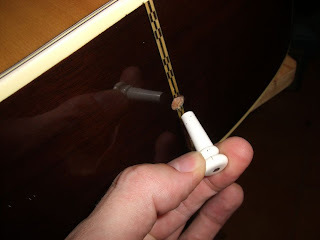 If it's not filed/sanded completely flat, you are likely to lose contact with the pickup at each end, resulting in a loss of sound at the low and high E strings. Thanks for your sharing. 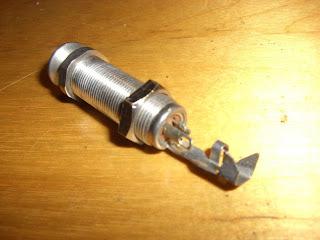 This is a very interesting and meaningful blog. 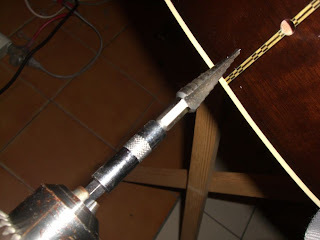 Just one question regarding the installation of pick-up on acoustic guitar: Do you think it is possible to install a pickup on a nylon-stringed guitar using the same method? Thanks. 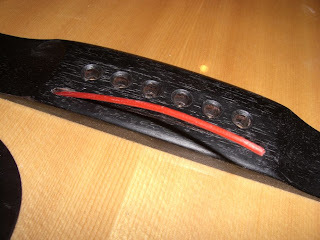 hope you don't mind me sharing a tip: When reducing the depth of the bridge saddle it is much easier to use an emery board (normally used for finger nails) place one on a flat piece of wood and rub the saddle on it They don't ruck or tear like sandpaper and it's much easier to get a perfectly level finish. I use this method when taking down nut and bridge saddles. Amazingly one board will do several. Hi David, that's a good tip, thanks. I've used emery boards in the past for other jobs. They're surprisingly useful, aren't they?